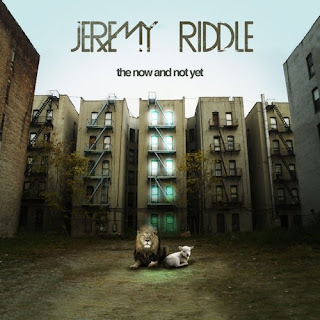 Jeremy Riddle: Interview and New Album : Reform worship. I highly recommend taking the time (about 30 mins.) to listen to Jeremy Riddle's interview with Casey Corum and Inside Worship. IMHP, this is their best podcast yet. (Click here to directly download the Quicktime video. It may take a while.) In the interview Jeremy's passion for Christ and His Kingdom really comes through, as he talks about the makings of his new album, The Now and Not Yet, and tells the story behind two songs from the album, "Christ is Risen" and "As Above, So Below." His insight is theologically rich and full of biblical truth. I am very impressed with his knowledge, not less his musical creativity. You can listen to the whole album here. We'll probably be doing "Christ Is Risen" on Easter. This is some really good stuff. You might have heard of Jeremy Riddle from his songs "Sweetly Broken" and "Stand in Awe." "Sweetly Broken" is a great song. I enjoy reading your blogs Ryan. They help me to stay informed about what is going on in your life, and I'm always fascinated at how insightful and genuine you are. Thanks for sharing. I miss you bro! I love this CD Great stuff!